There was no moment of silence for Zaccheus Jackson Nyce at his live-streamed memorial in September 2014. Instead, a moment of ‘noise’ was offered up to his spirit in raucous poetry slam style. For a full minute the crowd of more than 400 yelled, stomped and screamed before settling down to hear family members, friends, musicians and poets share recollections of the fast-talking poet and performance artist. Fighting tears, mother Terry Nyce managed a smile when she introduced herself as the “alpha female”, because Zaccheus told audiences he’d been raised by wolves since birth. Her early life anecdotes illustrating her son’s inquisitive, mischievous mind kept the mood jovial, but she became serious when she thanked the spoken word community and Vancouver for saving his life. Laughter erupted again when adopted father Clarence translated Jackson Nyce’s traditional Haisla name. “It means ‘a growing tree out of control’,” Clarence said, referring to his son’s towering six-foot-three-inch stature. 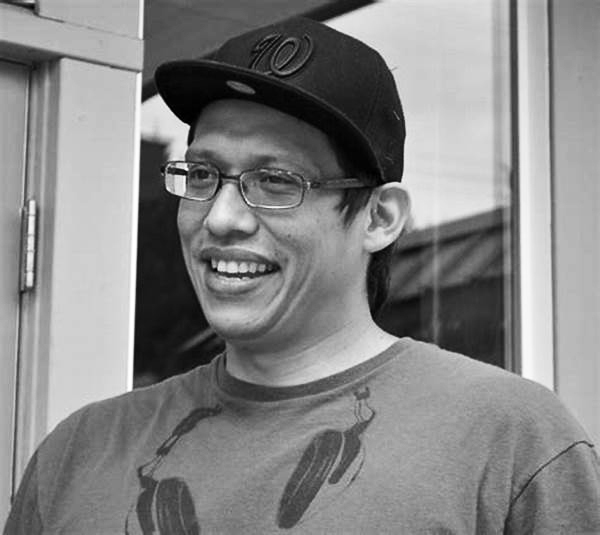 Days after his Aug. 27, 2014 death, struck and killed by a train in Toronto, 100 mourners marched from the Vancouver Aboriginal Friendship Centre to Café Deux Soleils, the place where Jackson Nyce first asked what slam poetry was after noticing a sign advertising it outside the restaurant. It was 2005 and he was just two months free of a crack addiction. The timing couldn’t have been better. His internal demons threatened to destroy him but now he had an outlet. “With poetry, he could be open, honest and intense with his emotions,” said friend Nyla Carpentier, also a word-weaver. Following his stage debut, Jackson Nyce began storming poetry slams throughout Vancouver, giving explosive performances that included “gritty street tales, intricate rhyme patterns and social criticism,” according to his online biography. “His voice could move mountains,” said Carpentier of his thunderous baritone. Almost immediately after he entered the slam poetry world, Jackson Nyce began working with youth. Carpentier marvelled at her friend’s ability to reach students, especially teens. “With his backstory of addiction and homelessness, he was blunt with Aboriginal kids. I heard in his workshops kids would come in with their hoodies up, looking like they were having none of it. By the time it was over, the hoodies would be down and their heads would be held up high. They’d tell him about their own troubles – suicide, sexual abuse, bullying – things you wouldn’t want anyone to have to face. Quoted in an article in Urban Native Magazine, Chris Gilpin, who directs Wordplay, a Vancouver Poetry House program that sends poets into schools to run workshops and perform poetry for school assemblies, praised Jackson Nyce. “Zaccheus is the most requested by teachers. Schools that have brought him in once, often want him back the next term or school year … the strongest possible compliment of Zaccheus’ impact with youth,” he stated. About Jackson Nyce’s poetry, Gilpin said it conveyed street-wise stories of a young man’s life and was incredibly complex in meaning and form. Born into the Piikani First Nation in southern Alberta, the performer and teacher was adopted at six weeks old by a family who moved to Terrace in northern B.C. His teen years found him battling addiction and living on the streets of Calgary in the early 2000s. After his first poetry slam – a competition where the audience gives performers points based on how much they liked their content and delivery – he went on to become the 2013 Vancouver Grand Slam Champion and artist-in-residence at New Westminster Secondary School from 2011 to 2013. He was on the Vancouver Poetry Slam team six times and twice represented Vancouver and Western Canada at the Individual World Poetry Slam. If he’d lived longer, he may have represented Canada at the World Poetry Slam held annually in Paris. Jackson Nyce was also involved in Full Circle, a local arts performance group focusing on Aboriginal stories, worked with the Urban Native Youth Association, and taught at a secondary school. Jackson Nyce was in the midst of a nine-week solo tour of Canada when he was struck and killed by a three-car locomotive in a Toronto train yard. Police ruled it a tragic accident. Close friend Jillian Christmas recalled in The Star that she once discussed legacies with Jackson Nyce. She hoped her poetry would outlive her, but he said helping young people was most important to him. He wanted to make sure they felt empowered, she said.